Nira is the only child of Guyanese immigrants in Canada. Her grandmother lives with her family, and her perfect cousin Farah and Farah's parents live nearby. Like many immigrants, both sets of parents are deeply invested in their children's education and success. It's not easy being either kid, but of course both think the other has it better. Nira's particular challenge is that rather than wanting to be a doctor, like her parents pressure her to be, she wants to play trumpet. Trumpet! Farah's dad is more successful than Nira's, and Farah goes to private school and has a chorus of "Farahbots" following her around, where Nira has just one friend, Emily. As the story begins, Nira is worried that she's losing even Emily. 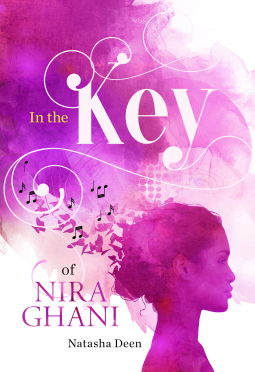 Good and bad things happen, and a very bad thing, but you can handle it because you're pulling for Nira, and eventually for Farah, too, and for the girls' tea-pushing grandmother. The girls are high school juniors, but this book is suitable for middle grades readers.